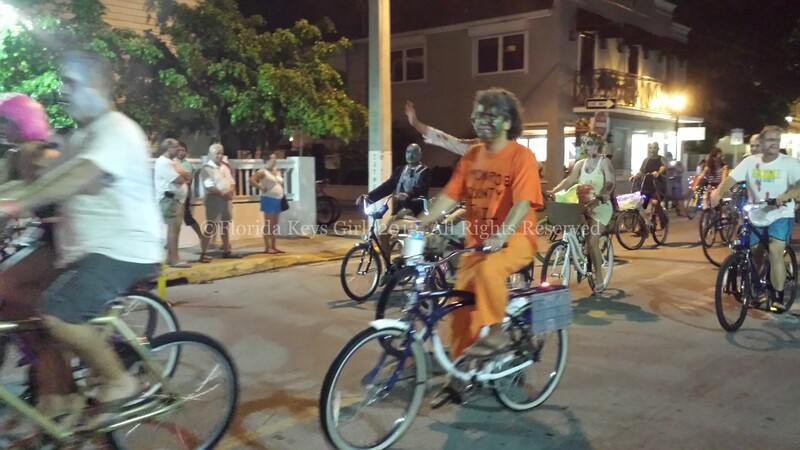 One of the great qualities about the people of Key West as a whole, is that they can create an organic event seemingly out of thin air. This is the case of the Zombie Bike Ride. 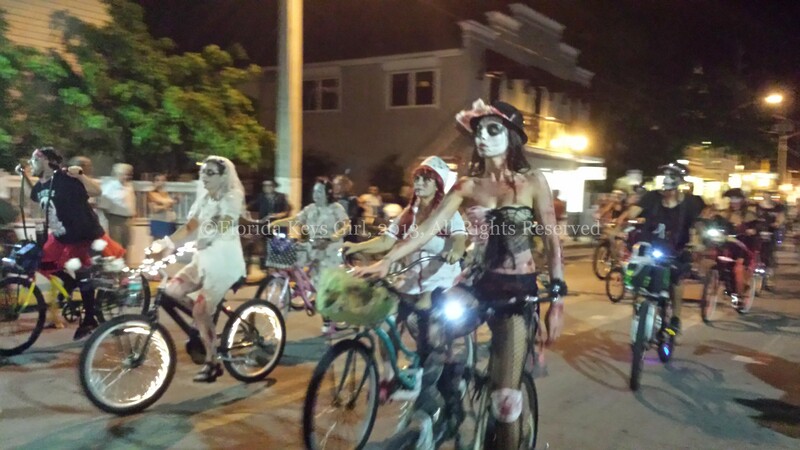 It started a couple of years ago with a group of people dressed as zombies, biking from Stock Island into Key West and down Duval Street. This year, there were a reported 5,000-plus zombie riders (according to some reports there were as many as 7,500). There were zombie clowns, zombie doctors and just plain old undead zombies. As my bike had a flat tire, and I had an unfortunate amount of Fireball the night before, I decided to watch this one from the sidelines. 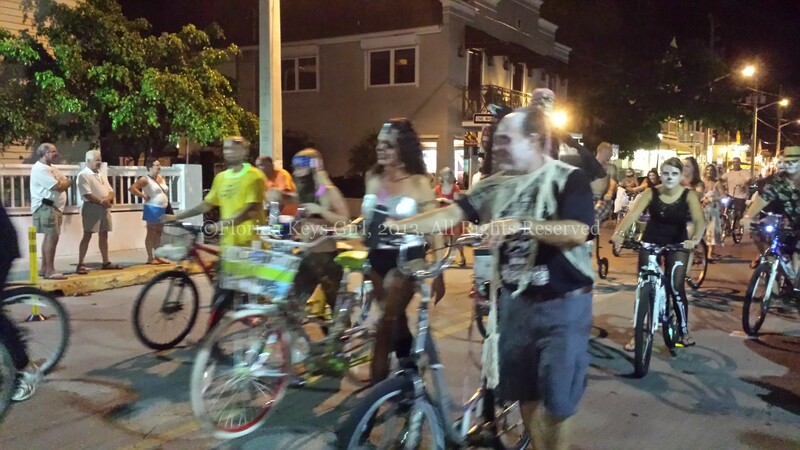 The ride looked like a lot of fun, but I had loads of fun seeing all of the zombies cruise down Duval Street. It occurred to me while watching that there are a lot of people that come very prepared for these events. Not only are they dressed up and have their faces painted, but there are people with coolers in their bike baskets, or music and speakers from a basket or platform. It is all very impressive. But this isn’t just about the ride. 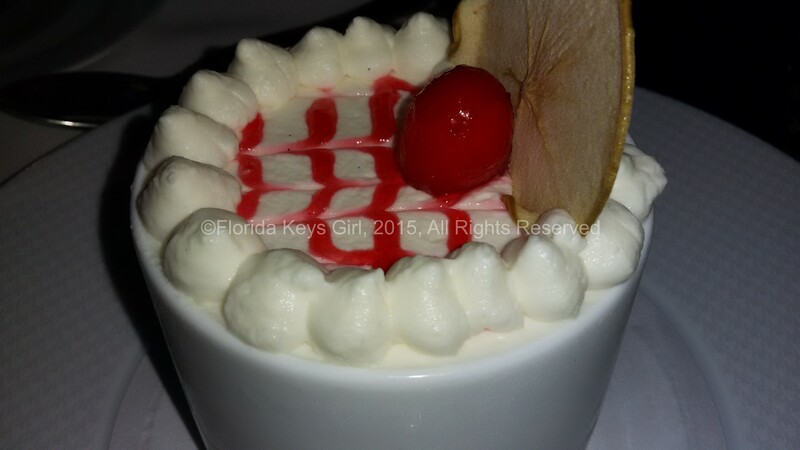 It is Key West, after all, so it’s also about the parties. Zombie Beach Bash is held at Salute, about the midway point for the ride. 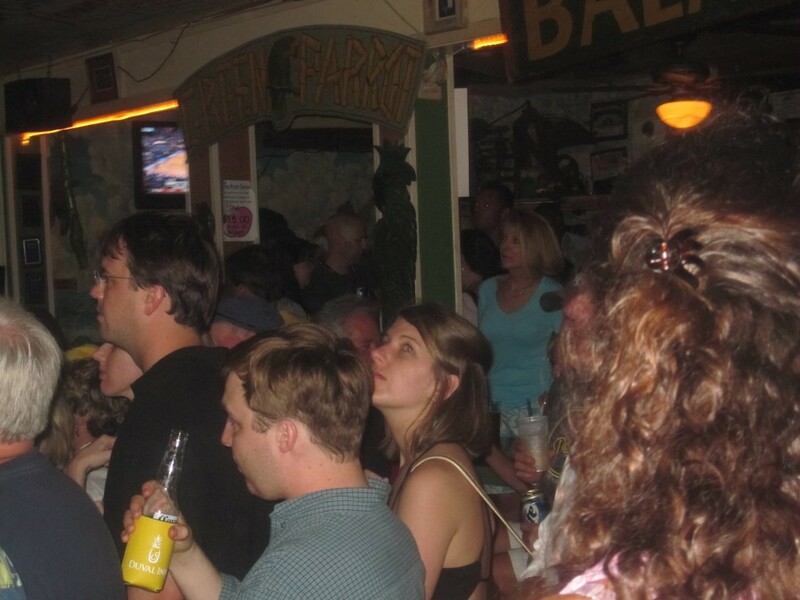 Or the ending party at Fogarty’s. Or the myriad of other non-official parties, like those at Finnegan’s Wake and The Porch. Personally, I enjoyed my own parade party sitting outside The Green Pineapple.